When the best football teams from each conference collide in Atlanta for the biggest game of the year, Daktronics of Brookings will have a hand in creating the atmosphere and experience for everyone in attendance. This year, Mercedes-Benz Stadium will host the New England Patriots and the Los Angeles Rams to see who will be crowned Super Bowl champion. 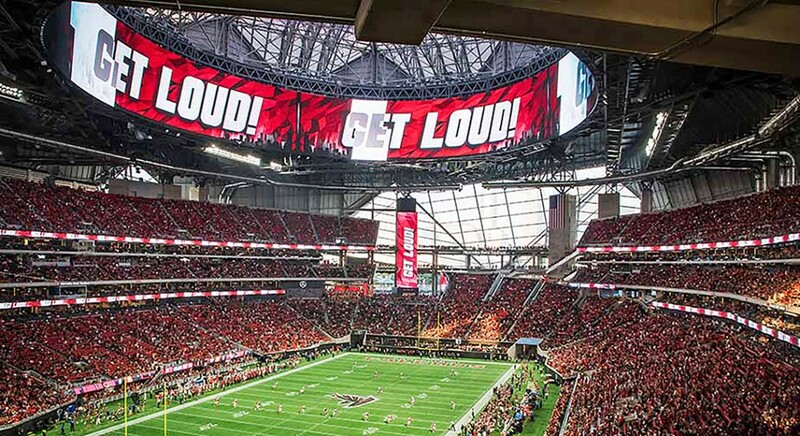 For more on Daktronics involvement at Mercedes-Benz Stadium, visit www.daktronics.com/mbstadium.